Author Christie Sausa has compiled a nice history of skating in Lake Placid, and all the forces that shaped the area that is now considered one of the best, if not most loved, skating centers in the United States. People go for the sheer beauty of the physical place alone, with its enviable location in the Adirondacks. But it’s the legacy left by over 100 years of skating that keeps skaters and fans drawn to Lake Placid. Her book begins in the 1800s, but moves quickly into how the local clubs were formed, until getting into particularly nice detail about the planning and hosting of the 1932 Olympics. There are wonderful tales about the planning of the indoor arena (still standing today, and the first time all skating events would be held indoors), the popularity of skating in 1932, and and course Sonja Henie. 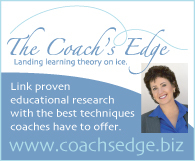 Then Sausa moves into some of the major players who transformed the skating program, most notably Maribel Vinson Owen and Gustave Lussi, that formidable coach who lived and breathed Lake Placid until his death in 1993, and who developed his transformative techniques there. 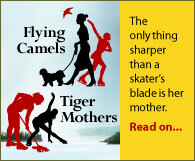 The book continues swiftly through history, covering the summer program, the implementation of judging schools, how show skating developed and evolved, and which famous skaters made their mark there. There’s even a great section on the first Skate America, and about how Stars On Ice decided to use Lake Placid as its training center. These behind the scenes give a real sense of the culture of the time. While I think the research is comprehensive, I wished for more information. At only 124 pages, this book at times feels like a cliff notes version of the history of Lake Placid, and some passages seem truncated. The chapter on the 1980 Olympics is shorter than expected, considering the incredible events over those few weeks in 1980. But rich photos support the text beautifully, and I’m thankful that so many of the smaller and less well-known supporters (notably Barbara Kelly, a longtime resident and adult skater) are given their equal due against the larger stars of the sport. It’s those grassroot folks who work thanklessly behind the scenes to keep skating moving forward even today across thousands of rinks worldwide, and you truly get the sense while reading that they are the quiet army that keeps Lake Placid humming. Due to the sheer size and demands on all Olympics hosts since 1984, it’s a shame that Lake Placid would be hard-pressed to host again. The size of the town is just too small to handle the crowds and security of the Olympics as they are today. Indeed, I consider it a small miracle that Lake Placid was able to host in 1980 considering the size of the Olympics a mere four years later in Sarajevo! “Lake Placid Figure Skating: a History” reminds us that Lake Placid is a magical place with a rich history, a destination still for skaters and fans alike. It’s worth a read mainly due to being a fantastic overview of how the town came to be, and why skating lovers still make their pilgrimages there. 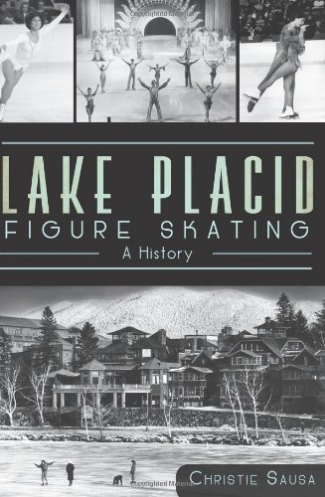 Even if most visitors come for a vacation or just to skate, the book makes you realize why we need to pay homage to those organizers, coaches, and skaters whose contributions in Lake Placid transformed the sport for the better.